The value of a great smile is priceless. And sometimes getting a wonderful smile is too. If you’ve ever taken your child in for a set of braces or needed a root canal plus a crown for yourself, you’ve likely experienced firsthand just how much money you need to put where your mouth is. Here are 10 statistics that show just how high the cost of dental care in the U.S. can be, and explains why many people delay or completely skip out on dentist appointments. 2. A survey released by the Urban Institute’s Health Policy Center in 2016 indicates that dental care is the number one health care service that people with insurance say they’re skimping on because of cost. 3. The average out-of-pocket cost for a root canal procedure with insurance is $593, according to a 2012 survey by Consumer Reports National Research Center. Without insurance or a discount program, the average out-of-pocket cost is $1,201. 4. CostHelper.com reports that the average out-of-pocket expense for traditional metal braces with dental insurance coverage is $3,407. Without insurance it is $4,937. 5. The number of hospital emergency department visits due to dental-related problems increased from 1.1 million in 2000 to 2.1 million in 2010, according to the National Hospital Ambulatory Medical Care Survey via a research brief from the American Dental Association. 6. A 2016 survey conducted by FAIR Health revealed that 20% of consumers across the U.S. say they never visit the dentist, or do so only when they need urgent treatment. 7. Research and analysis from HealthPocket shows that adult dental services are excluded from 89% of traditional health insurance policies. 9. 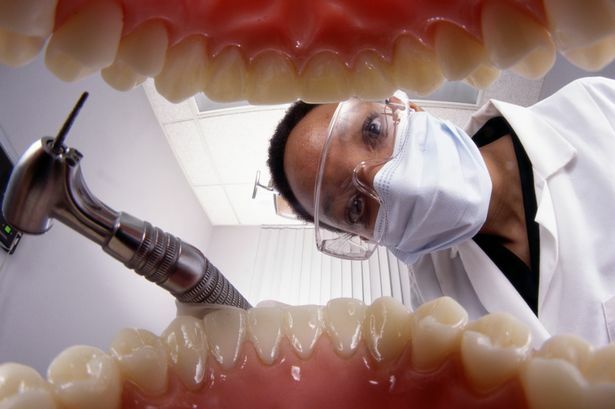 Nearly 70% of older Americans have no form of dental coverage, according to Oral Health America via a report from the Center for Medicare Advocacy. 10. The Centers for Disease Control and Prevention reports that 27% of adults aged 20 to 64 have untreated tooth decay. While these statistics show the impact that the cost of dental care can have, it’s important to keep in mind that medical researchers and studies continue to prove the correlation between oral health and overall health. As such, it’s essential to keep up with your appointments at the dentist (routine and non-routine dental care) for your health and well-being. For ways to keep up with your oral health and save money on the cost of dental care, you can join a dental savings plan through several of our member companies. You can also check out these tips in Parade from money-saving expert Leah Ingram.